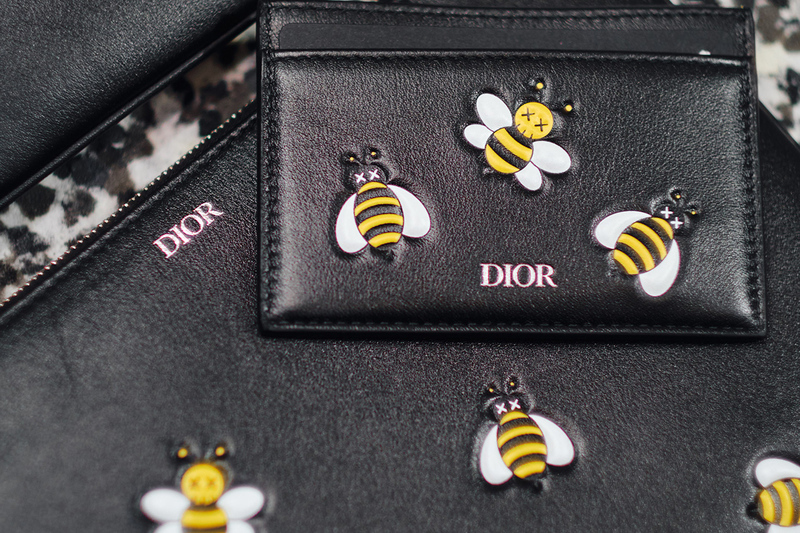 Kim Jones has brought the bee back to life for his first Dior collection, 70 years after Christian Dior incorporated the insect into his designs. From the handpainted concrete walls to a giant handcrafted figurine made of thousands of hand-dyed synthetic roses, and delicate bees embroidered on fine garments, no detail was overlooked by the creative masterminds behind the Dior Summer 2019 collection. 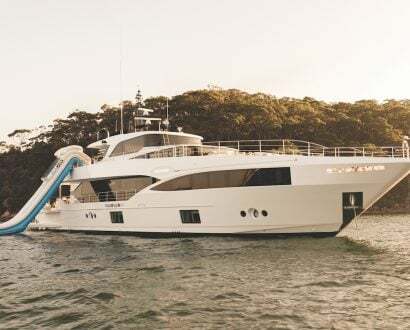 The capsule collection has been unveiled and The CEO Magazine experienced the intimate event at the men’s pop-up store in Sydney, Australia. 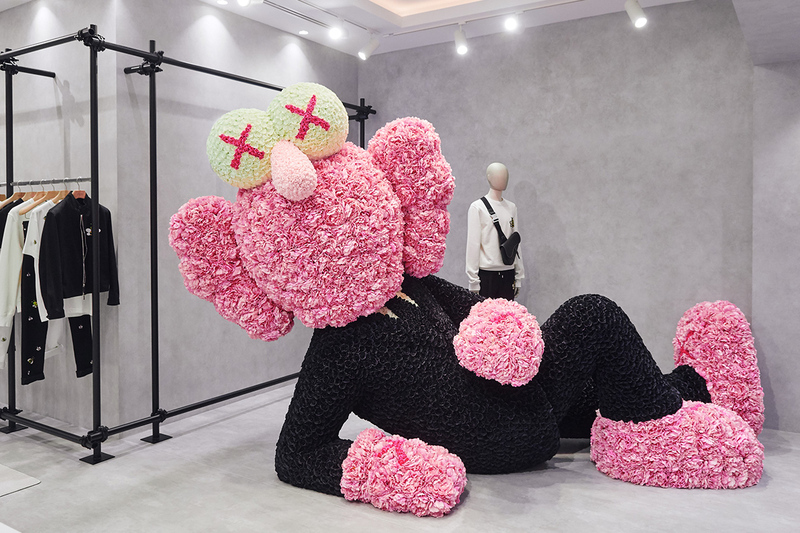 Behind the glass doors of Dior’s Sydney flagship store awaited a mammoth BFF figurine delicately handmade in Korea from synthetic flowers. The statue with its rosy pink and charcoal hues underwent a three-dye process that made it contrast beautifully with the handpainted grey walls of the fresh space. The bee appears in different versions in the ephemeral setting, with bursts of pink and yellow against the industrial-style centerpieces. Your eye was instantly drawn towards the BFF regally posing at the entrance, its honeycomb-textured suit mirroring the home of the guest star of Kim Jones’ first Dior collection – the bee. 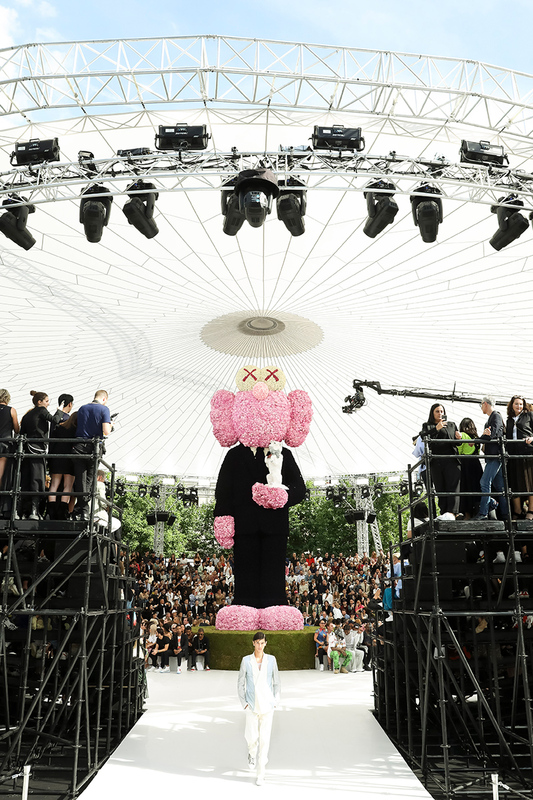 Jones commissioned New York artist KAWS to reinvigorate the brand’s signature insect throughout the collection, bringing to life the icon 70 years after Christian Dior first incorporated it in his designs. 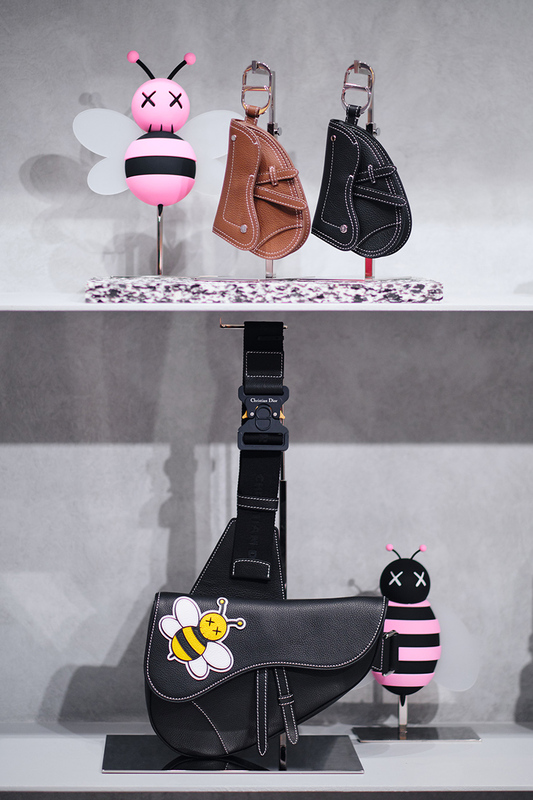 The bee appears in different versions in the ephemeral setting, with bursts of pink and yellow against the industrial-style centerpieces. Structures with graphic lines reminiscent of architectural scaffolding add an informal yet refined touch to the space. The space defined by Jones reflects the new urbanity of the Dior man while drawing inspiration from Dior’s love of nature. 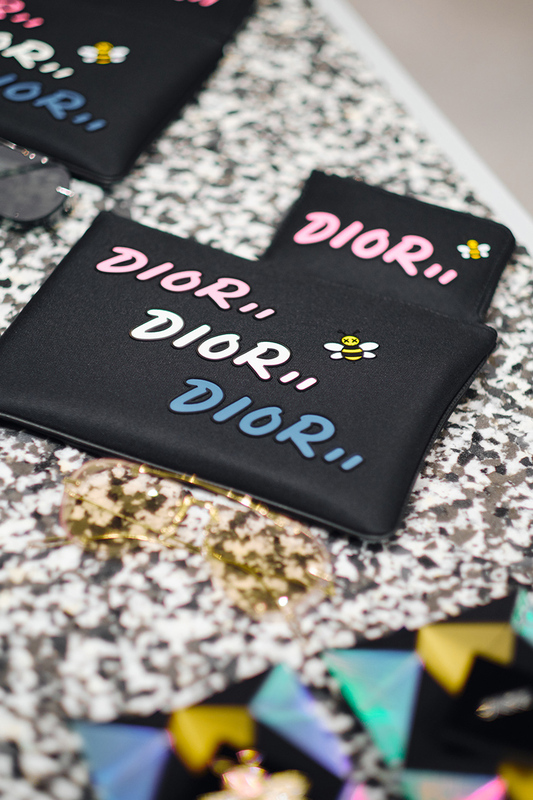 With petite truffle-filled croquet monsieurs, pressed watermelon cubes and freshly squeezed juice circulating the pop-up store, 20 exclusive guests enjoyed all that the Dior capsule had to offer. A chic, neo-white bee figure hovered at the end of the space encouraging guests to work their way through the store while catching little creative details of the House’s personality in every corner. 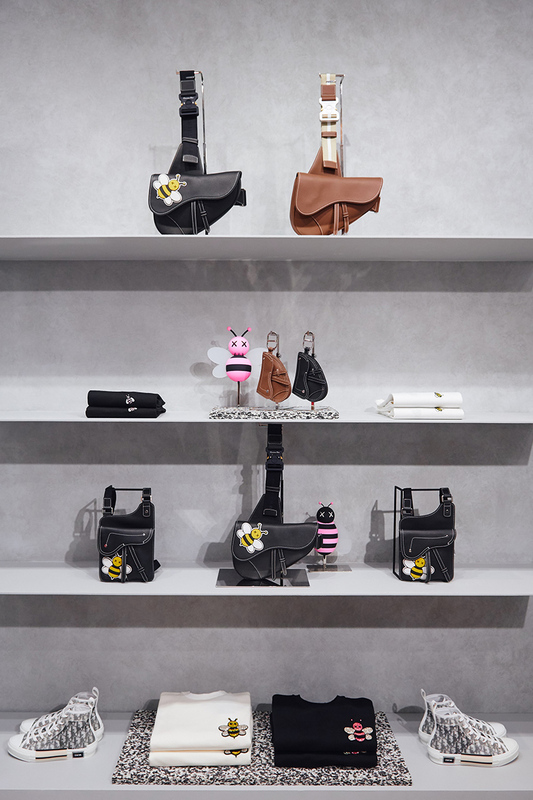 Offering ready-to-wear, leather goods, shoes and accessories, the Summer 2019 collection at the Sydney pop-up store will be open until 31 March 2019.